Not so much hunting season as declaratory season in US politics. The US presidential candidates from the Democratic side are making promises spiced with forced excitement in anticipation ofthe 2020 elections. 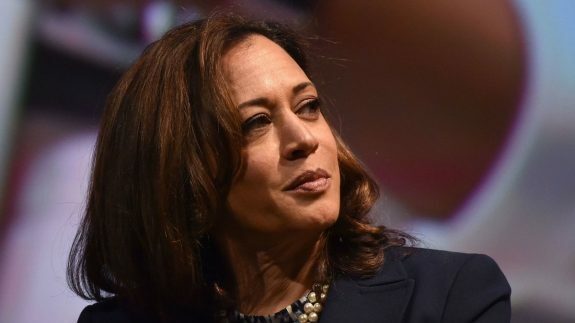 This early morning of the public holiday of Martin Luther King, Jr., US voters were given a spray of enthusiastic promises by yet another potential candidate for the White House: Senator Kamala Harris. Senator Elizabeth Warren, who fell for the gibes and challenges of President Donald Trump on the issue of Native American heritage, pushed her way into contention with an announcementon the eve of the new year that the White House was in her distant sights. Even Warren’s own hometown publication, The Boston Globe, felt that she might not make the cut and should best forget it. The reasoning? Divisiveness. In terms of her messages, Warren does sound like Sanders lite, with distinctions: focus on the mad cat banking sector; focus onthe predatory nature of the US political system and its links with finance, but not remove the problem the private sector poses to politics and the general US citizen. If the American people woke up to themselves Yogi Bear could stand and be a winner. Even Trumps redneck Southern base and Wall Street wankers would not be able to save his nasty thin “look at me” skin. Sadly, as bad as this trumpster is, he still seems to be very well liked & supported in the reed neck deep South. Probably liked enough to see him win a further term in office, if he was to stand again. Here in Australia it is hard to really understand the American political “system”. Especially when trying to find anyone from the Democrats side who is capable of beating this idiot. Senator Harris does seem a likely prospect, but you watch the so-called “free” press (Mudrake & his contemporaries etc) start their campaigns to denigrate her as much as they have anyone who purports to want to stand against their pet boy, the trumpster! Good, thoughtful article Dr Kampmark! She had a chance to send Menuchin to jail for defrauding poor-overwhelming black-people. She’s a spoke in the oily wheel of corporate American governance,by for and with the 0.1%.